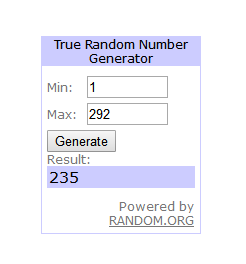 Congratulations to @SunnyT @VladSumy #235 #236, please PM me u shipping address. We are teaming with Wotofo to give away 1 set of Profile RDA to celebrate the upcoming Halloween, yeah, there is only treat for you! To truly taste your juice, now presenting the 24mm mesh style rebuildable platform, the Wotofo Profile RDA! Get it for free, let’s get started. Visit our Halloween Sale page here, choose coupon code you want to get. Compare to Recurve RDA, which one do you like? one winner will be chosen on 5th Nov by random.org, forum time based. I prob choose the 10%off $60, that right? It looks nice that you have mesh or wire coil option although seems to prove ineffective. If i had the option i would prob purchase a recurve after hearing nice things. Hope I did this correctly since @HealthCabin I dont want to steer anyone in the wrong direction. Gl to all!! The code I want is spend $100 and get $20 off then get $30 off of your next 100 dollar purchase. Apparently its the best mesh rda but still crap. At least they were smart enough to put an option in that is able to use round wire. I choose coupon code: HWJUICE30. Compare to Recurve RDA , which one do you like? Recurve RDA is nicer to me than Profile RDA. Attractive form and air supply solution like. No comparison the Recurve blows. I am not a fan of of having of tagging people per se.